Trivandrum, the capital city of Kerala, was once called the “evergreen city of India” by Mahatma Gandhi, in reference to its hilly terrain. Built on seven hills, it is located on the west coast of India and bound by the Arabian Sea to its west and the Western Ghats to its east. 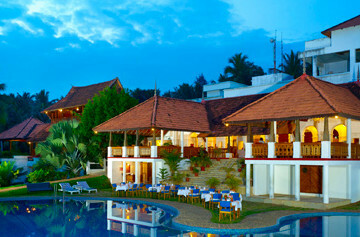 Kovalam, which means ‘a grove of coconut trees,’ is a beach town located 16 km from the Trivandrum city centre. Its beaches are often rated as some of the best in India, particularly the iconic Lighthouse beach. Accompanied by a renowned photographer, on this photography expedition you will have the opportunity to see and shoot activities at a fishing village, early morning fishermen activity, markets, temples and palaces, Neyyar Dam and wildlife parks where you can spot elephants, lions and crocodiles. Get up close and help bathe, feed and ride an elephant. Be blown away by the spectacular views from the Kovalam Lighthouse! Photograph the gorgeous surrounds of Trivandrum and Kovalam, including fishing villages, coastal panoramic views and wildlife!